Hmm, look at that. Turtles are being weird again. Sorry, I was unclear. 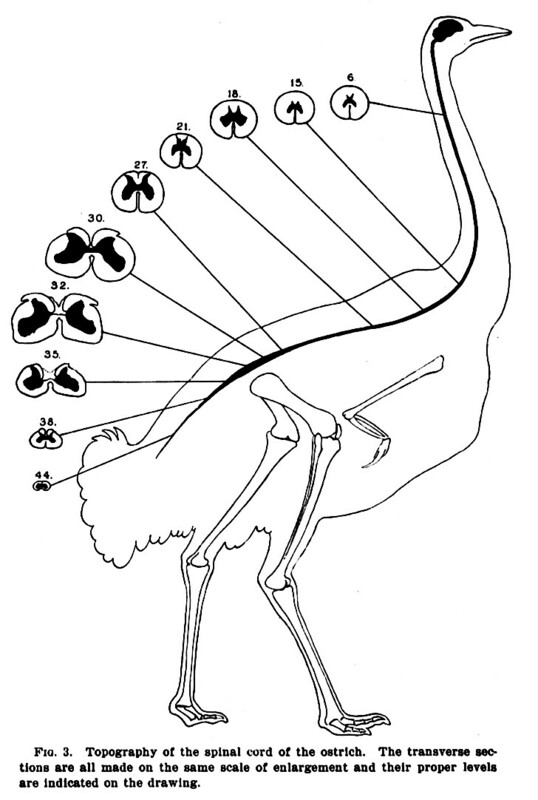 Turtles and birds and crocs are normal, in having the default pattern of the spinal cord running the whole length of the vertebral column. 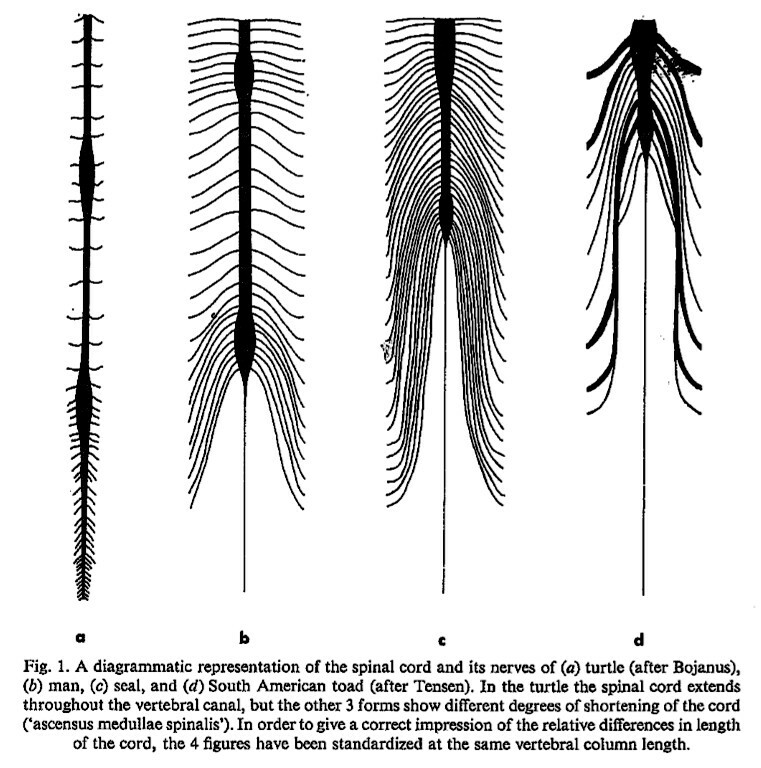 In that Nieuwenhuys figure, the turtle is the token vanilla vertebrate, used to contrast the derived shortening of the cord in mammals and anurans. 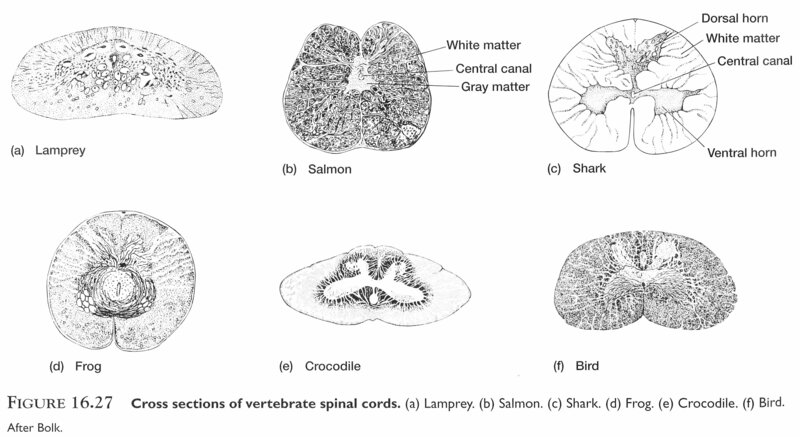 Although I think a lot of the cord-shortening in frogs and toads must surely be driven by the very anterior position of the sacral vertebra and the presence of the urostyle. IOW, I suspect that the long terminal nerves in frogs and toads are probably running posteriorly outside the neural canal, whereas those of mammals run inside the neural canal, and form the cauda equina. Huh. I had no idea of this mammalian and anuran weirdness.